For days, people were dropping in to Nettie’s House of Spaghetti, disappointed to discover that they had to wait until Wednesday, November 28, 2018 for the new Italian eatery’s grand opening. “We’ll be back!” they would say each time in anticipation to see the fresh restaurant that has taken over the long-standing staple, Luigi’s Tavern, which operated at the Asbury Avenue location in Tinton Falls for the past 60 years. New proprietors, Chris and Tania Calabrese aren’t phased by the constant comparisons to the previous neighborhood hangout, only fueling their excitement that so many people are as eager for the launch as they are. The Calabrese’s have been dreaming of opening up a restaurant together since they met ten years ago while both working at Copper Canyon, a popular tapas and tequila bar featuring Southwestern cuisine in Atlantic Highlands, New Jersey. Chris was a server, Tania was a hostess and bussed tables during summer and winter breaks from school. Since then, they both continued to strive in the food and beverage business: Tania worked at The Meatball Shop in New York City where she gained experience in finance, human resources and restaurant consulting; Chris followed his passion for cooking, becoming a well-known chef at Asbury Park, New Jersey pizzeria-bar, Porta, before relocating to Jersey City to assist in the opening of its second location in 2011. While Tania handles some managerial duties and the front end of the house, Chris is in the kitchen concocting the menu, with his team of 2 other high-level chefs, creating mostly homemade dishes including meatballs, spaghetti, fish, and some vegan and vegetarian options. “I’m a vegetarian so it was a requirement to have some of that on the menu,” said Tania. 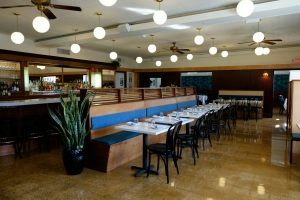 “We wanted to make sure that there was protein in those dishes and not just pasta and salad only options.” Their staff has been a large part of the creating process as most of their 20 employees are those they knew around the restaurant scene. “We barely did any outside hiring at all,” said Tania. “Either we knew them through the restaurant world or knew them personally. Even our purveyors are our friends.” One reliant staff member whose skills flourish behind the bar is Bar Manager, Craig Stewart who hailed from Porta in Asbury Park. “I’ve had a long-standing relationship with Chris and Tania and we’ve been able to work together and bring in so many people,” said Stewart. The duo described the restaurant as a “modern take on old-school Italian,” but admit that the inspiration for its development comes from Chris’s grandmother, Antoinette, whom the restaurant is named after. 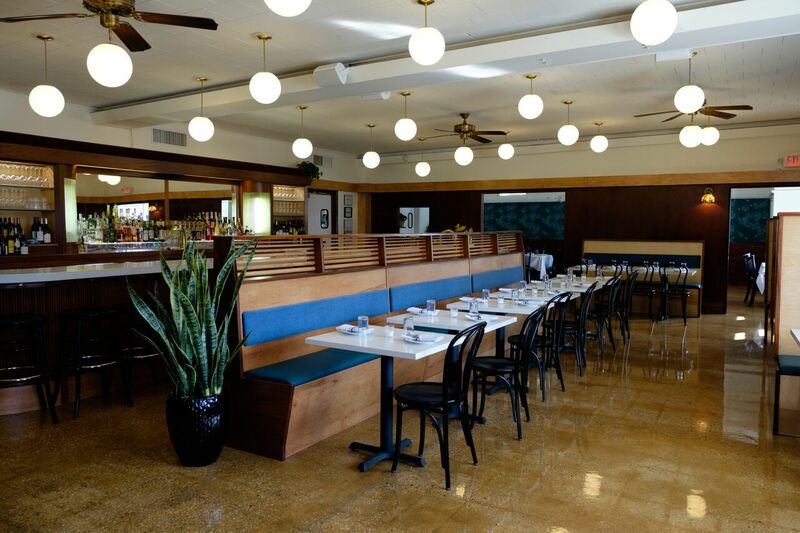 The name Antoinette means “highly praise worthy” matching the eateries design which embodies a mid-century art-deco vibe as well as the logo of the perfecto sign. “The perfecto sign means, ‘it’s okay’ and stereotypically Italians like to talk with their hands, so the perfecto sign is the closest symbol to resemble that,” explained Tania. What’s next for the restaurateurs? “Soon we’d like to start serving lunch and offering catering and private parties,” said Tania. “We want to expand, but one thing at a time. Maybe not another Nettie’s but a different restaurant,” said Tania. Nettie’s is open on Wednesdays and Thursdays from 5:00 pm to 10:00 pm, Fridays and Saturdays from 5:00 pm to 11:00 pm and Sundays from 5:00 pm to 9:00 pm. Visit their website to view their complete menu items and daily specials at https://www.nettiesrestaurant.com/. Social media users can also find them on Facebook and Instagram for additional restaurant updates.